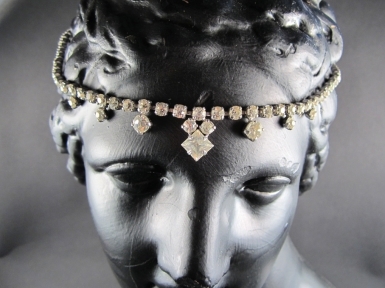 Pretty vintage diamante hair chain ornament. It attaches to the hair with small combs, and can be worn at the front, back, or side of the head. This item comes in it's own black and gold fur lined (Faux) embossed box. Postage is free on this item within the UK.